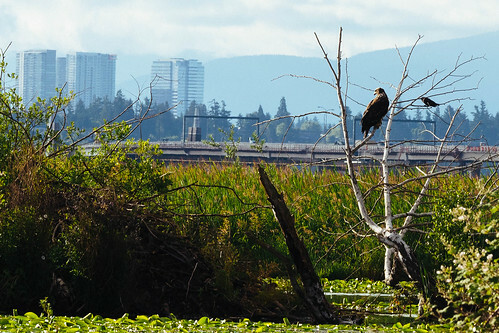 A crow watches a juvenile bald eagle with the 520 bridge and the skyscrapers of Bellevue in the background. 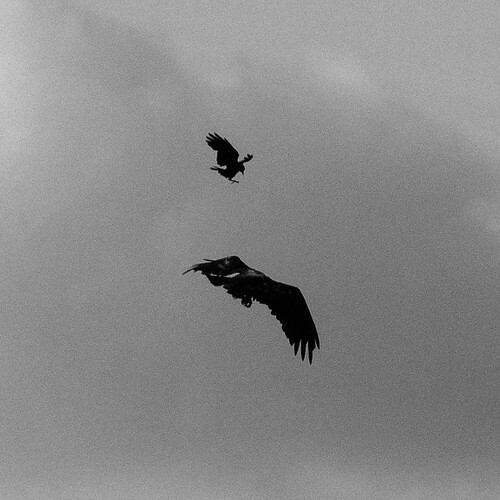 Minutes later, the crow worked as hard as it could to chase the eagle away. An osprey went hunting, and wood ducks brought splashes of color to the lake shore. For a home in the heart of the city, we are close to a lot of nature. While I’ve always loved nature in the abstract, and when I get to go visit nature at a zoo or while camping, I’ve never lived surrounded by so many different plants, birds, and insects. Every week is an education. For example, when I moved into the new home, all I could have told you about the grove of trees across the street in Yesler Swamp was that they were big. Now, I know they’re cottonwood trees, that they thrive in poor soil next to rivers and lakes, and they require full sun. Little cottonwood trees can’t grow near established cottonwood trees (not enough light), so they need to go for distance when it’s time to send their seeds out into the world. 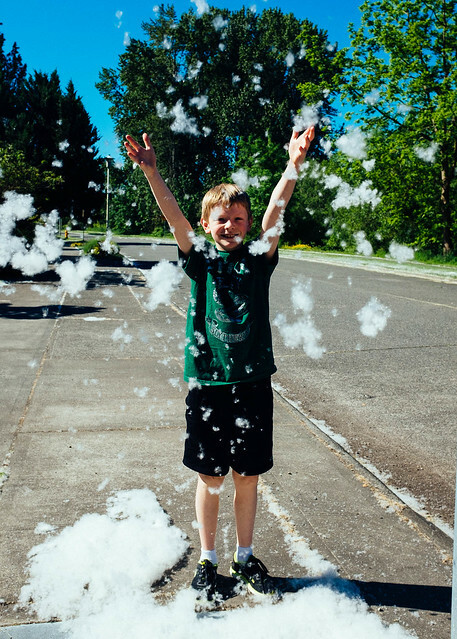 I learned all this because for three weeks each spring, cottonwood trees stop being a backdrop for nature and become the main event, shouting their name to everybody and everything nearby. When the trees release their seeds, it looks like it’s snowing and the seeds can pile up in drifts several inches deep. 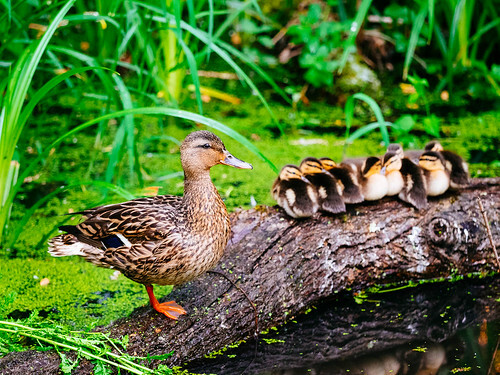 It would be purely annoying but for one saving grace: Cottonwood seeds are great food for hungry, growing ducklings. Cottonwood season is also duckling season. Being surrounded by nature is best when it’s adorable and fluffy.